Salt Lake Community College is finalizing plans for its annual Earth Day celebration. SLCC Earth Day 2019 will educate the community about environmental issues that have far-reaching impacts. The festival will be April 22 from 10 a.m. to 4 p.m. and most activities will be held at the Taylorsville Redwood Campus. 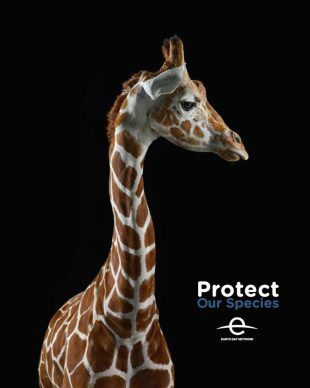 The official and global theme of Earth Day 2019 is Protect Our Species. According to the Earth Day Network, the planet is facing the largest period of species extinction in the last 60 million years. Scientists estimate a loss of species at 1,000 to 10,000 times the normal rate, with several extinctions occurring daily. Many of these extinctions will be attributed to climate change. SLCC’s Earth Day festival will include an upcycled art contest, a community partner fair, environmentally-engaged workshops, and other entertainment. This type of outreach aims to inspire students and community members to do their part to help the planet. A few days before the festival, SLCC will begin displaying upcycled art from students and other individuals who participated in the contest. The Protect Our Species Art Exhibition will run April 18-25 at the Taylorsville Redwood Campus. Contest winners will be announced during the Earth Day festival. 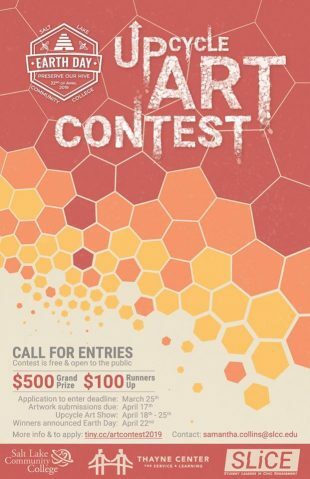 Runners-up will receive $100 and the grand prize winner will receive $500. For those who cannot attend the Earth Day festival, SLCC provides multiple opportunities and ways for students to take action, such as designated bins for recyclables throughout each campus or volunteer openings at the SLCC Community Gardens. Just remember that no matter how little the action, it will still have an impact. We can reduce our carbon footprint together, one step at a time.